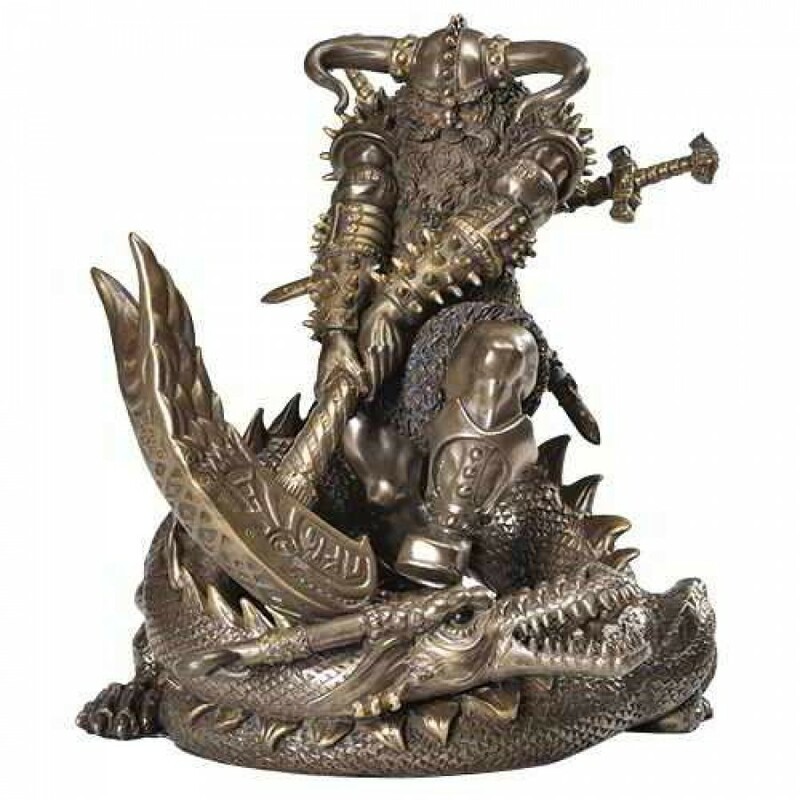 Derek W Frost designed this incredible, action packed statue of Thor slaying a dragon. 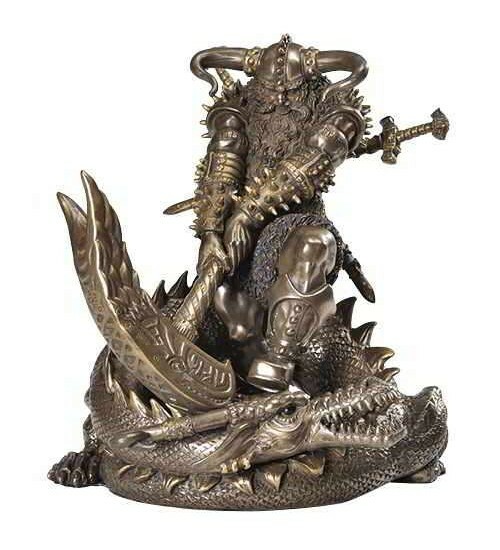 This statue by artist Derek W Frost is packed with detail! 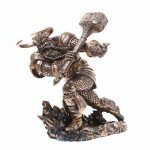 From the oversized Mjolnir hammer to the dragon the mighty hero is slaying, ti is truly a remarkable piece. 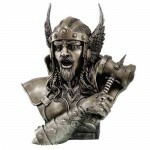 Cold cast bronze resin with hand painted detail, this Thor statue is 8 inches tall. Item Number: PT-8431 | Approximate Size (Inches): 7.00 wide x 7.00 deep x 8.00 high | Approximate Shipping Weight: 4.50 lbs.